HOME > What is AceLift? If those sentiments sound like you, you may be an ideal candidate for an AceLift™. AceLift is exclusive: Because the AceLift gained its roots from Dr. Deborah Sarnoff’s passion for dermatology and through her years of experience in the industry, it’s exclusively available at her practice. AceLift is unique to you: No two faces are the same. Dr. Sarnoff will tailor the procedures in your AceLift specifically to treat your problem areas. A facelift is a surgical procedure aimed at recontouring the neck, jawline, and jowls by repositioning the skin and tissues around the lower face. It is performed in a sterile operating room under general anesthesia or IV sedation. Facelifts require incisions in front of and behind the ears, which cause scarring and carry surgical risks and side effects. Much to the surprise of many, a facelift is not permanent, results last about eight to ten years. 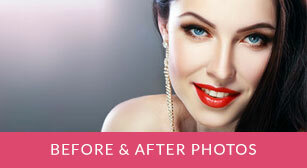 A facelift can’t do some things that are very important to many who visit this site. It doesn’t address collagen or elastin production levels, which are vital components of a youthful, contoured, and sculpted face. A facelift doesn’t address skin quality, including skin tone and coloration issues. Nor does it even address the entire face. If you want to treat the wrinkles around your eyes, the droopy skin of the upper lid, the bags of the lower lid, or the dark circles under your eyes, these problems cannot be corrected with a facelift. You’ll need to have a separate procedure called a blepharoplasty. If you want to elevate the eyebrows surgically, you’ll have to arrange for yet another surgical procedure known as a browlift. Yes, it’s possible to have a facelift, blepharoplasty and browlift all on the same day. However, this requires going to the operating room, being sedated, and a lengthy recuperation —— not to mention the cost of paying for all three procedures! Meanwhile, the AceLift is a combination of non-surgical procedures, which do not require sedation, and which collectively address several facial aesthetic concerns. The term “AceLift” is an acronym, which stands for: Augmentation of Collagen and Elastin, via Lasers, Injectables, Fillers and Topicals. It does not involve surgical skin removal, so no sutures or stitches are involved. It does not create surgical scars behind or in front of the ears. Think an AceLift could be right for you? Dr. Sarnoff’s AceLift patients range in age from 30 to 90 years old. The AceLift is a true breakthrough in the cosmetic options available to anyone who wants to maintain a youthful edge in their appearance. Learn how Dr. Sarnoff tailors each aspect of the treatment to your individual cosmetic needs and goals.Each category in the L-I-F-T part of the acronym includes an arsenal of procedures, technologies, and options. Results from an AceLift are often immediate. Remember, there are different components of the AceLift. Some components have virtually no recovery time. If your AceLift includes only injectables and topicals, there is little to no downtime. The full 90-minute package of procedures might leave you with about a week’s worth of downtime before you can return to makeup.